What if The Pilot Aired as the 2016 Christmas Special? Can you believe it? It’s been a whole year since Series 10 began with The Pilot! The season delivered, what we know as, a ‘soft reboot’ and a new chapter in the franchise: giving the audience a fresh introduction to what Doctor Who is all about. 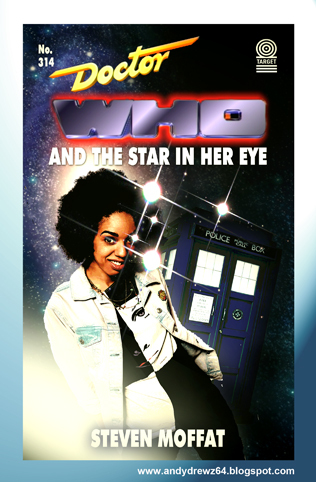 Bill Potts (Pearl Mackie), a young woman who serves chips at St Luke’s University, meets a mysterious man called the Doctor (Peter Capaldi), along with his fellow assistant, Nardole (Matt Lucas), and becomes very curious about the former’s quirky nature and eccentric style of lecturing. Told from her perspective, she has so many questions about who the Doctor is and what goes on way beyond the universe. It is not until she begins to have a crush on her classmate, Heather (Stephanie Hyam), who literally has A Star In Her Eye (a reference to the episode’s working title – pardon the pun). That was The Pilot. Note that the title is a double entendre; the first episode of a brand new chapter, and Heather being the sentient oil’s Pilot. Not to be confused with the initial 1963 recording of An Unearthly Child Episode 1: The Pilot Episode. 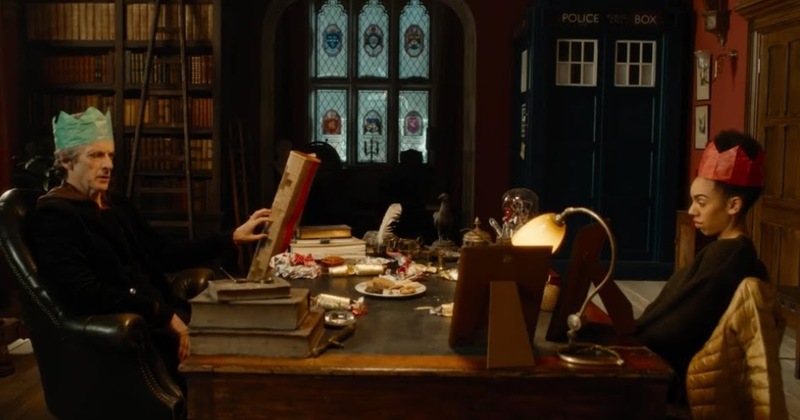 And speaking of which, it was a lovely surprise to see photographs of both the Doctor’s wife, River Song (Alex Kingston) and his granddaughter, Susan Foreman (Carole Ann Ford) on his desk, where he also keeps his sonic screwdrivers from previous eras. 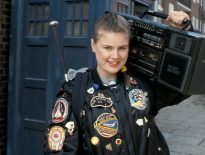 Not only does The Pilot incorporate references to various characters and sonics, I didn’t actually realise until writing the article that it also pays tribute to the Series 2 episode, School Reunion (actually my all-time favourite). 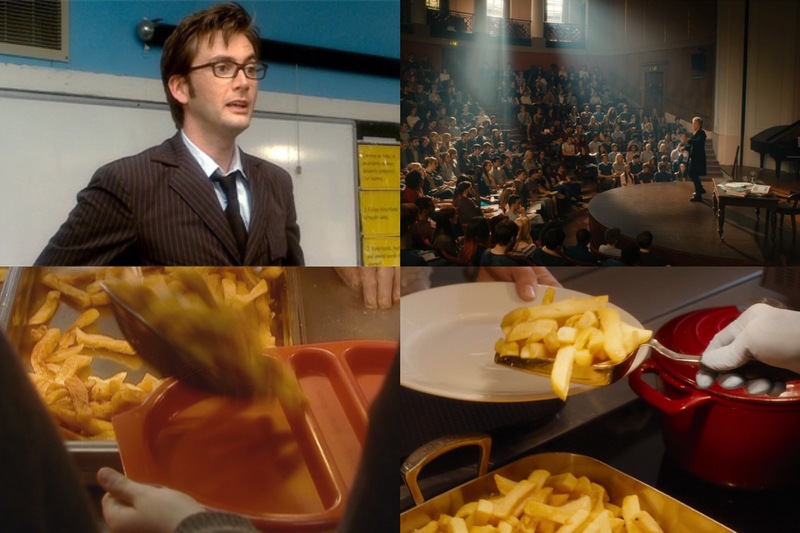 There are two homages in particular: the Doctor teaching a group of students in an educational setting, while a companion serves chips in the canteen – taking place straight after the opening titles. Funny coincidence, wouldn’t one agree? With a running time of 50 minutes, five minutes longer than average, I thought it was a fairly good length for the series opener. However, if they had filmed an extra 10-25 minutes, not only would this have worked perfectly as an extended debut for Bill, it would have also been appropriate for an exclusive slot on Christmas Day – in the place of The Return of Doctor Mysterio. Even though I quite liked Mysterio, I felt it didn’t work as a Christmas Special overall, which is why I have decided to use The Pilot as the ‘What If’ substitution. There are some deleted scenes that sadly, for many fans, didn’t make it into the final cut. 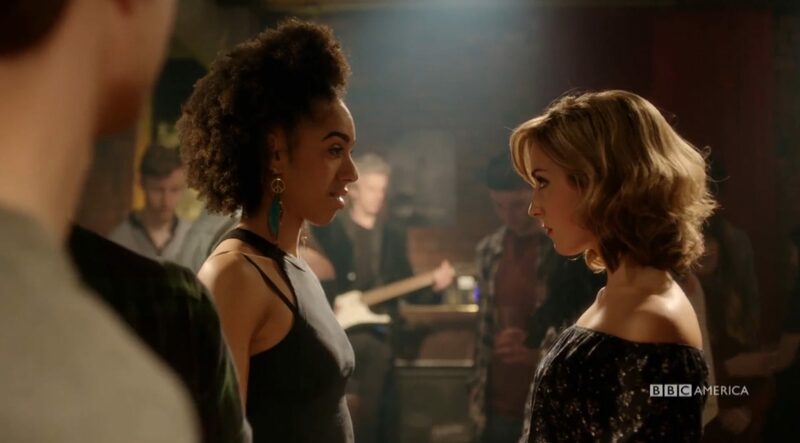 Notably, a fan-favourite, an alternative version of Bill and Heather meeting for the first time at the bar where the Doctor plays “Clara’s Theme” on his electric guitar in the background. I loved how it played tribute to the closing minutes of Hell Bent in which the Doctor and Clara part ways for the final time, as he performs it diegetically. That would’ve worked better on the screen. Thankfully, they are featured in The Complete Series 10 DVD/Blu-ray release as extras, or you could even watch this superb compilation of deleted scenes from various Series 10 episodes (as referenced in DWM #516). Let’s not also forget that the shooting script features the deleted scenes too, which can be downloaded at BBC Writers’ Room (along with several other scripts written by Moffat). The best thing about reading a Doctor Who script, from any era, is that you can learn from the writing styles and camera angles/shots to comprehend the narrative and pacing. It’s an aspiring screenwriter’s blueprint for drafting a spec script (or even prose narrative). The Christmas scenes were touching and tributeful to all the previous Specials. 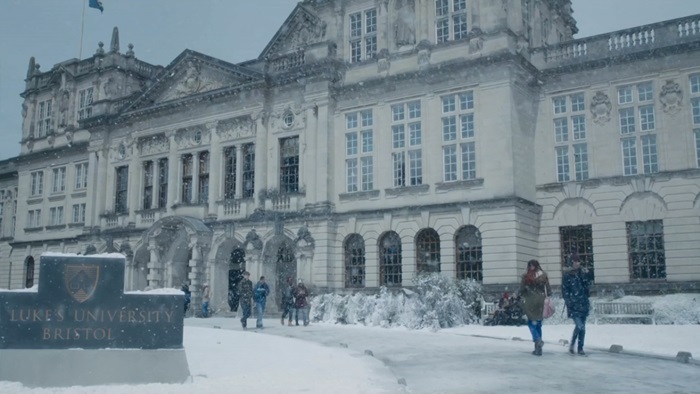 Despite them being short, which I don’t mind at all, it would’ve been nice to have featured Nardole wearing his winter woolly hat inside the Doctor’s office, as well as a 5-minute scene where Bill and Heather exchange presents before speculating the puddle; frozen for the time being, but still “alive”. That could’ve provided some further insight into their romantic relationship. Even though The Pilot is technically not a Christmas Special, Moffat did absolutely the right thing to slip in the festivities for a new audience. Since 2005, various Christmas Specials were counted as the official episode number, on the home media releases, such as The Snowmen being Series 7 Episode 6 with The Name of the Doctor being Episode 14. 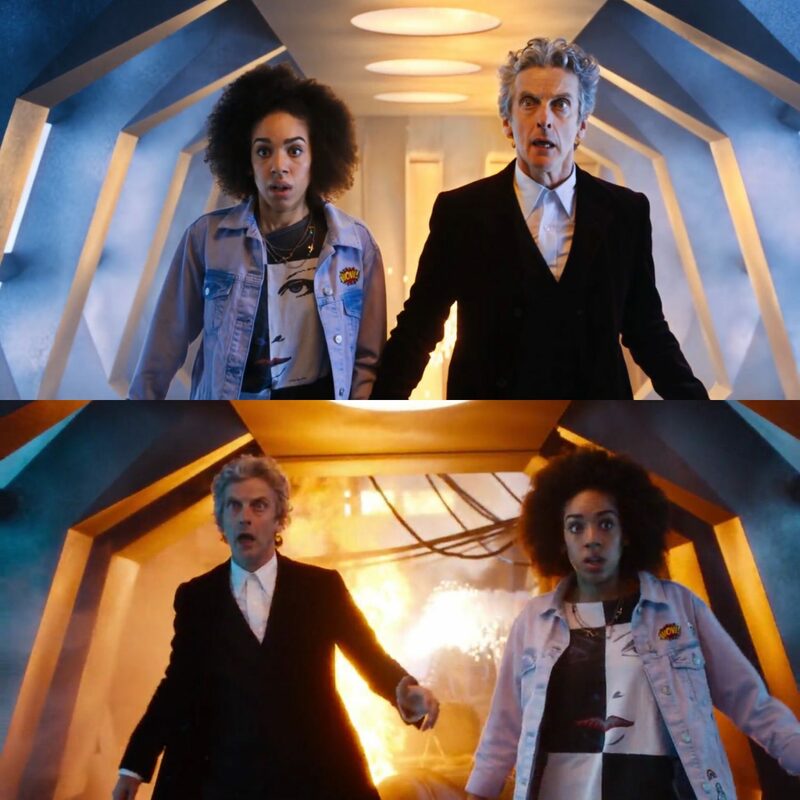 You could even argue that The Husbands of River Song is Series 9 Episode 13, and Twice Upon a Time is Series 10 Episode 13 (arguably the third and final part of the Series 10 finale). Well, from my perspective, I consider Husbands to be the epilogue of Series 9 and the Doctor’s first chapter in the franchise, with Heaven Sent/ Hell Bent serving as its full conclusion. 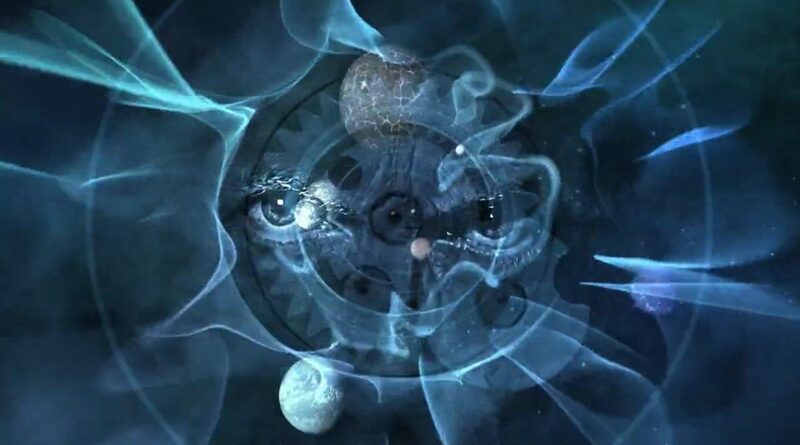 When the Doctor and Clara escape in a ‘Default’ TARDIS, during the second half, this directly references the very beginning of the Doctor and Susan’s travels; it’s parallel – the end marking a new beginning. What if Series 10 only had 11 episodes? No! That would never work! Why not, instead, expand one of the singular episodes as a two-parter, or come up with an entirely new story to fill the gaps? Or perhaps… make Mysterio the Series 10 opener, but this time, featuring Bill? Anything could work. Who knows? Yes, Nardy. We saw it coming. One of my personal highlights of The Pilot was the entire Dalek-Movellan war zone; full of laser-firing and explosions – “on many sides”! Wish the action sequences had been extended, so that the audience can enjoy a full-on epic ‘introductory’ conflict between the Doctor and his ultimate pepper pot arch-enemies – not sure if any of the Movellans would be willing to help though. Speaking of the Movellans, despite their brief cameo appearance, fans of the Classic era would immediately recognise them from the Fourth Doctor serial Destiny of the Daleks. I love how Moffat wrote a new kind of depiction of the most iconic Who villains in his script, by not making them the episode’s main antagonists, and instead focusing on the sentient oil in the form of Heather. Many fans would remember the very scene where Bill asks the Doctor numerous questions about the Daleks. Only some footage from Pearl Mackie’s 2016 “announcement tape” Friend from the Future was retained for The Pilot, but trimmed on this occasion to fit with the storyline. Check out the episode’s Fact File and The Fan Show – The Aftershow to learn the reasons behind the scene’s modifications. 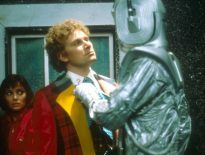 ← Why is the Sixth Doctor Era Remembered for its Violence?